Should the Federal Government consider giving investors in Social Impact Bonds (SIBs) a tax incentive (concession) on the Return on Investment dividend, asks Russell Nelson, Chief Operating Officer at brain injury Not for Profit Headway Gold Coast Inc.
Could this tax incentive help fund the NDIS to an exceptional extent? Here I outline Headway’s proposal to the Queensland Government on how, by utilising Social Impact Bonds, it can significantly reduce the implementation and management costs associated with the introduction of our National Injury Insurance Scheme (NIIS). As well I argue that it will provide Public Benevolent Institutions with empowerment to manage and operate the scheme, under the auspices of the Motor Accident Insurance Commission. Social Impact Bonds LifeCare framework would provide the impetus for innovation and achieve greater effectiveness due to the pressure to attain specific results. improve the lives of many disabled people. In this time of budgetary constraint, Headway (a Not for Profit offering support to people with an Acquired Brain Injury) sees this as a way of attracting private investment into an area that has been traditionally a government’s responsibility to fund. If ever there was a case for SIB investment this is it! Community based rehabilitation and management can ultimately replace government responsibility, in large tracts of social expenditure and help to achieve “smaller government”. It’s also a funding strategy that precludes immediate substantial outlays of money. The fact that government only repays the investor’s outlay with an additional interest payment, if agreed outcomes are met and their capital outlay, is a paramount attraction. There is also another upside for government in that even if agreed outcome levels aren’t achieved at worst, significantly improved social services are likely to have been delivered. What’s in it for investing insurers? major reduction in claims processing and staffing costs. Compulsory Third Party insurers operate in a complex environment, working at all levels, from local to global, allocating resources across a broad spectrum of socio-economic and environmental issues. Whether large or small, specific or generalist, reactive or proactive, many investing insurers are considering how to prove and improve their impact practice, and support others to do so too. To understand the difference they make, directly and indirectly. Insurers can make a difference directly by themselves, or indirectly through the work of the charities and social enterprises they support. A starting point for investing insurers assessing impact, is to understand the difference they seek to make. From there a funder can consider what difference (intended and unintended) has been achieved through its funding. To learn from what they, and those they fund, do. Impact assessments inform organisational learning, which can lead to improvements in decision making and performance. This can be applied at individual Public Benevolent Institution level, within and across programs, and within insurance organisations. To ensure they make the most of their resources. Funders know that with every grant or social bond awarded, or dollar spent on other support, there is an opportunity cost of not allocating that resource elsewhere. Recognising and accounting for impact can help investing insurers to improve resource allocation and value for money. It can also help investing insurers to identify and report on their contribution to public benefit. Through providing a social bond investment and support, funders enable individuals, charities and PBI’s to make a difference. It is desirable therefore that there is a shared understanding of why impact matters and collective responsibility for any approach to impact assessment. 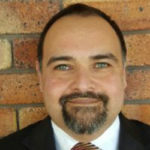 About the author: Russell Nelson is the Chief Operating Officer at Headway Gold Coast Inc. Established in 1986, Headway Gold Coast Inc. is a Not for Profit, community based organisation offering support to people with an Acquired Brain Injury, their carers, family and friends. Russell Nelson is the CEO at Headway, a not for profit supporting people with an Acquired Brain Injury.